Sandile Goje is a well-regarded young artist from the Eastern Cape in South Africa, where he studied at the Dakawa Art Centre in Grahamstown and from there was awarded a bursary for the Graphic School in Stockholm. He then returned to Grahamstown and taught printmaking at Dakawa until it closed and then later co-ordinated it’s re-opening in 1998. He has since moved to Koch Ceramics. 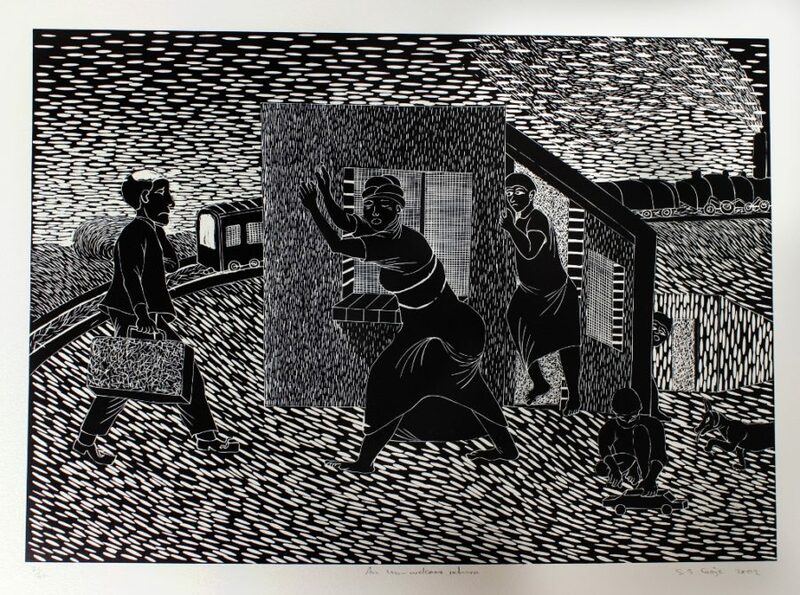 In 1998 Goje won an award in the PG Glass Competition and his prints were included in the exhibition Printmaking in a transforming South Africa at the National Arts Festival. 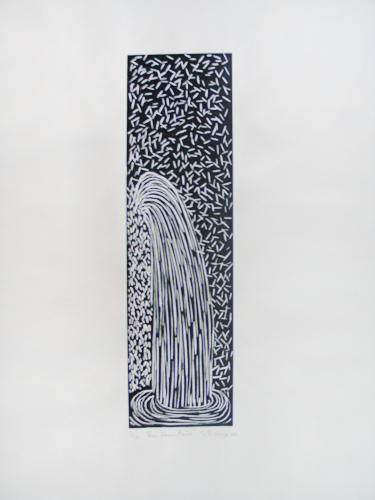 During his time as a student at Dakawa he was taught by Swedish printmaker, Kristina Anselm, whom he acknowledges as an important influence in his work. Although his works remain inalienably African both artists (Goje and Anselm) create intricately and carefully textured works. 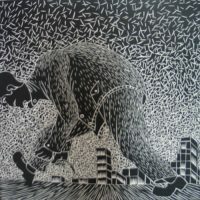 His remarkable tool work brings a rich variety of textures to the black and white surfaces of his prints. Frequently he designs directly onto the lino although the conceptual process may sometimes involve sketches with or without minimal notes. The artist expresses the wish to reveal the nature of his culture to those to whom it is unfamiliar and he does this through images. His vision of this culture in the Eastern Cape during the years of social change is intriguing and uniquely personal. Goje’s works are in the collections of the World Bank, Wits Technikon, MTN Art Institute and various others. In 2002 he was invited to produce works in the David Krut Workshop in Johannesburg.